It’s not often audiences return to a franchise with such sincerity and force that it transcends being a reboot altogether and becomes something more as if we never truly left in the first place. Such is the case for Mad Max: Fury Road. The world has dried up in the distant future, leaving the lands a desert and barren. Resources are hard to come by, and many are preyed on by scavengers and bandits. 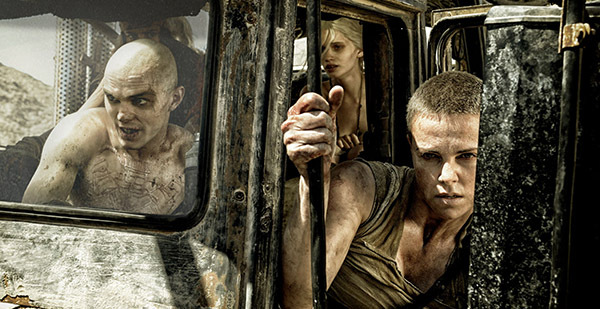 “Mad” Max Rockantansky (Tom Hardy) is running from many things: his past, the nightmares and more importantly these pale skinned scavengers called War Boys. Ruled by a cult leader King Immortan Joe (Hugh Keays-Byrne), Max is subdued and forced into being a live blood bag for sick members of the group. When Imperator Furiosa (Charlie Theron) betrays the group and smuggles away Immortan Joe’s most prized possessions during a regular gas run, the hunt begins to bring her back and return what was stolen. Nux (Nicholas Hoult), one of the sick War Boys, sees this as his chance to impress his leader and heads up the front of the lines with his blood bag, Max, strapped to the front of his war machine and the race is on. The synopsis aforementioned is explained within the first twenty some minutes of the film and what follows for the remaining hundred minutes is a flowing work of raw beauty. The hardest part of writing a story or making a fictitious piece is creating the world in which the events take place. Some stories rely on a combination of the world as we know it with elements of, time travel or magic that is only present for the characters or viewer. Mad Max’s fourth entry does something each subsequent film has done and does it somehow even better. It encapsulates an entirely new world in which we’re thrust into and does strange and nuanced things that sometimes never get mentioned because it has become a daily occurrence. Everything within the film has a purpose. Each car is outfitted not simply because it looks cool, but because it’s functional within this environment. This is a fully working universe and it shows. I was lucky enough to see this new age masterpiece not once, but twice in theaters for my review — once in 3D and once in my preferred 2D format. Upon reflecting after the first showing, I glanced down to my notes I usually scribble blindly in the dark for inspiration to writing this later, I found only a blank page. I was so emotionally and physically engaged and on the edge of my seat for the duration, I didn’t have time for silly notes. This is the mark of a truly wonderful and moving picture. If that cannot sell you on seeing this film in theaters (where it deserves to be seen), nothing may. As with usual Max fashion, the main character and other supporting are what make this film. I won’t divulge any critical information, but the entrances and embarking moments are this film’s strongest features when it comes to its characters. If I had to input any critque it would be Max was a little too talkative. But that’s more a humorous sidenote I started during the second screening with tally marks for each time he had a line. I stopped after twenty marks. The original record holder is still held by Road Warrior’s only sixteen lines with Max. 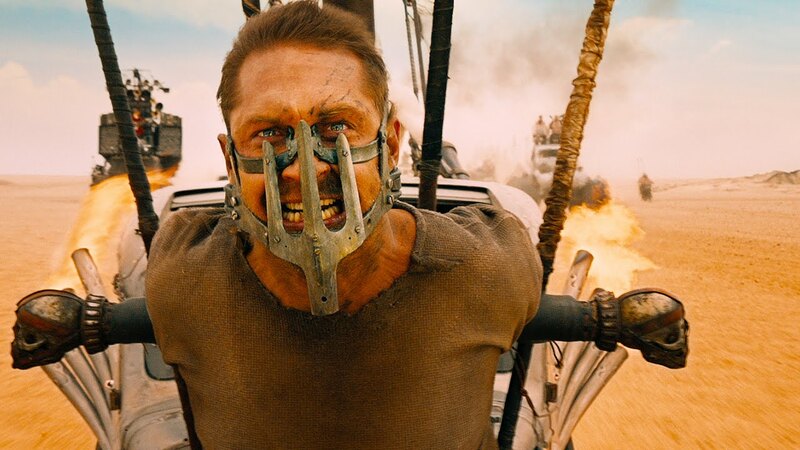 If there is one movie you see this summer, or even this year; make it Mad Max: Fury Road. Images courtesy of: Warner Bros. Currently in school for Digital Film and Video Production, Squall Charlson dreams big while working as a director, actor, film editor, and screenwriter for his own and many local projects. Much of his work revolves around the Tokusatsu genre; giving it a unique flavor. Adding his technical insight for both production and story elements, his movie reviews will touch on the best of both worlds.